Belcarra on May 10th and Balla on May 17th. This entry was posted in Community Notices, Education, General, Upcoming Events and tagged Balla, Belcarra, church, community, community notices, events, happenings, Mass (liturgy), masses, Mayo, newsletter, notices, parish, sacraments. This entry was posted in Community Notices, General, Uncategorized, Upcoming Events and tagged Balla, Belcarra, Cemetery, church, community, community notices, deaths, events, happenings, Mass (liturgy), Mayo, newsletter, notices, parish, Pastoral Council. This entry was posted in Community Notices, General, Recent Happenings, Upcoming Events and tagged Balla, Belcarra, church, community, community notices, deaths, events, happenings, happenings Church, masses, Mayo, newsletter, notices, parish. 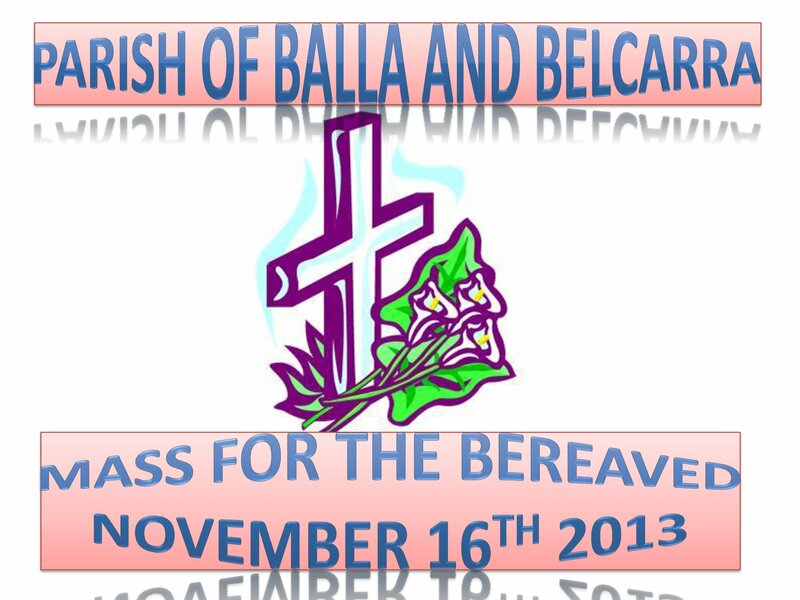 This entry was posted in Community Notices, General, Recent Happenings, Upcoming Events and tagged Balla, Belcarra, community, community notices, deaths, events, happenings, happenings Church, masses, Mayo, newsletter, notices, organisations, parish. This entry was posted in Community Notices, General, Recent Happenings, Upcoming Events and tagged Balla, church, community, community notices, events, happenings, mass, newsletter, notices, parish. 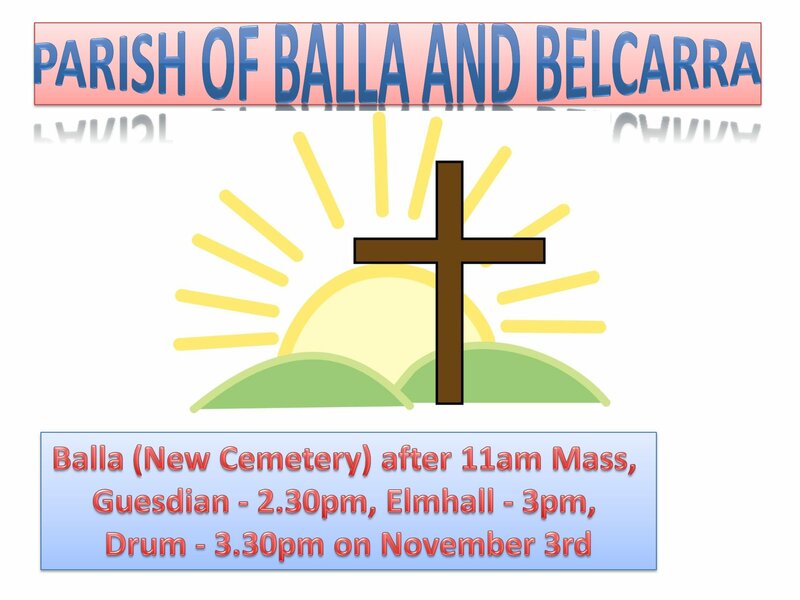 This entry was posted in Community Notices, General, Recent Happenings, Sport, Recreation & Leisure, Upcoming Events and tagged Balla, Belcarra, church, community, community notices, deaths, events, happenings, mass, masses, Mayo, newsletter, notices, parish.